Toy Storage just got a whole lot easier with this round up of 35 Clever and Creative Toy Storage Solutions for your home. Trying to keep your kid’s rooms organized can be pretty tough.Their toy area and play rooms can also become a huge mess. With 5 kids toys have become my arch nemesis. Any drop of OCD left in my blood left long ago (about 3 kids ago). Although with more kids comes more hands to help clean up the messes, how to put them away in an easy storage solution can be a tough call. 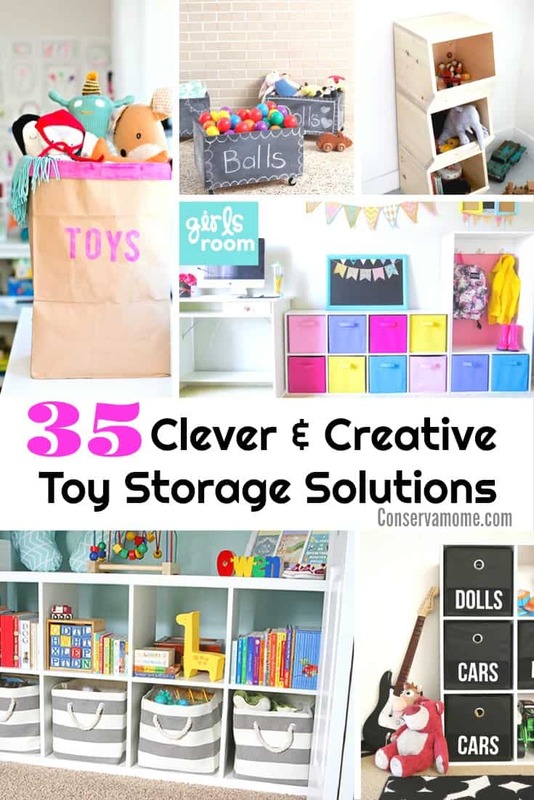 Thankfully I’ve searched the creative minds of the online world to bring you 35 Clever & Creative Toy storage Solutions to help you find easy ways to store your kids toys without going crazy. Check them out below, they’re simply fabulous! Really helpful thought to get rid of messy toys. I like it so much. It’s a clever way to hide messy toys. I will apply it to my kid’s huge toys. Thanks for sharing this great idea. 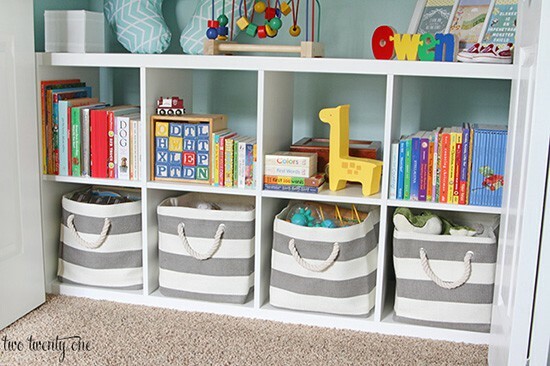 Lots of great storage ideas that are both economical and youthful for children. Thank you so much for sharing. Useful suggestions. I’ll send this to my niece for using with her children. I have a small townhouse and space is at a premium. This will really help. These are some great ideas. We are in the process of remodeling so storage and organization is on my list. I love these ideas. I was never very creative with toy storage. I love these ideas, thank you so much for sharing!! I use rectangular shelves and put bins in them and it works really well for the kids play room. I definitely want to try making a Stuffed toy Swing for them, though I am afraid that it still wouldn’t be enough. Between the three of them they have a ridiculous amount of stuffed animals! Love these ideas! I have an in home day care plus have 3 kids of my own, so I’m always looking for ways to keep things organized and neat but also functional for all age groups. Nice ideas. There is also just going through most and eliminating those not used. So many are just shoved aside after a brief period of time. I like the shelf idea. 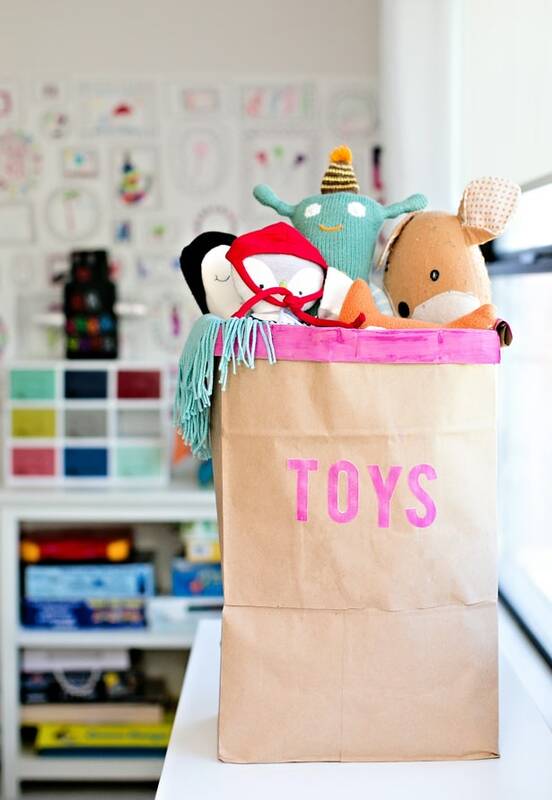 You have alot of neat ideas on storing away childrens toys. I love the Shelf storage where on the Bottom their are 4 matching material bags to store in what ever toys you are not storing on the shelves. One of these and a nice toy box would do so nicely.. Thank you so much for sharing these wonderful toy storage ideas.. These ideas for toy storage are great. Our playroom isn’t too big and when the grandkids come at the same time it looks like a tornado when they leave. The Matchbox car storage is really neat! I’ll have to remember that if I ever have a little boy!! The nerf gun storage is super cute too. I may end up doing a spot like that in our garage! I need to put some shelves out there for all the outside toys, chalk, and bubbles too!